I always like end-of-the-year contests, especially this year, when my content hasn't quite been what it used to be. With my collection taking a direction toward in-person and TTM autographs and memorabilia, my card buying has dwindled a little bit. I still love the hobby, though, and with Eamus Catuli! asking for everyone's favorite card of 2016, it gives me a great chance to show off a card that means relatively little to most people, but is really cool to me. While my card-buying has decreased this year, I still have had some great pulls, like my Connor McDavid Future Watch autographed card and my Evgeni Malkin autographed dual jersey card, but this isn't about my best card of 2016, it's about my favorite. For me, it has to be my Tanner Kero Young Guns rookie card from 2015-16 Upper Deck Series 2. 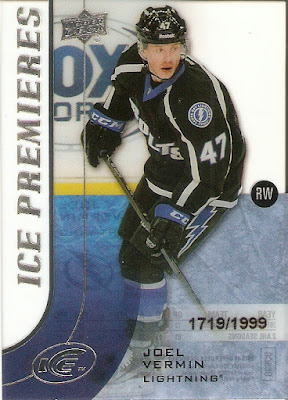 As far as I'm concerned, this is such a great card, because Kero is one of a very small list of alumni from our local USHL team, the Fargo Force, to make it to the NHL. 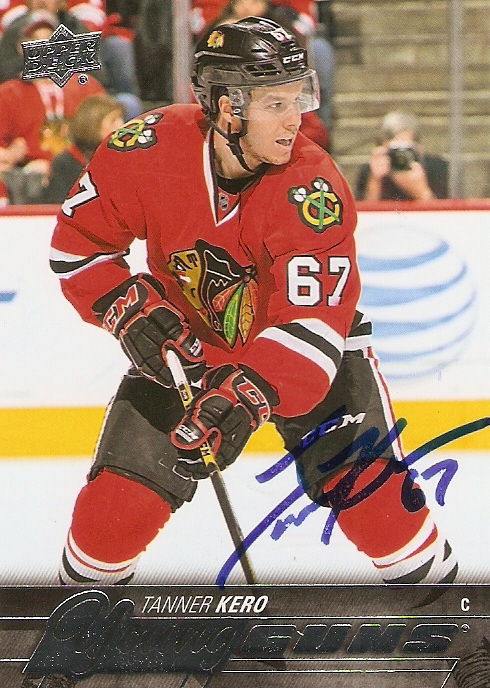 Kero played just one year in the USHL before attending Michigan Tech for four years of college hockey, After his college days were up, the Chicago Blackhawks signed him to a contract, and he would eventually make his NHL debut on October 29, 2015. He would play 17 games in the NHL during the 2015-16 season, scoring one goal and two assists, He has spent the 2016-17 season with Chicago's AHL affiliate, the Rockford IceHogs. So far, the Fargo Force have had five alumni make it to the NHL: Nate Schmidt (Washington), Luke Witkowski (Tampa Bay), Christian Folin (Minnesota), Kero, and most recently, Zane McIntyre (Boston). It's always great to see a guy from the local team make it to the NHL, especially since so few of them ever do. 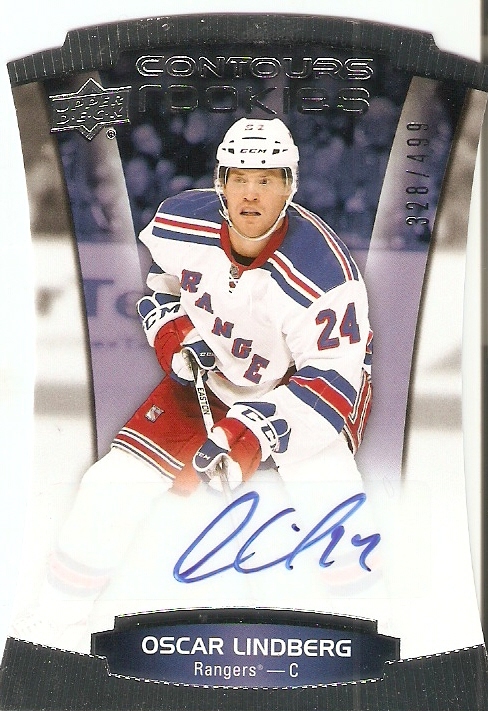 Oh, and if you noticed the blue ink on this card, it was signed by Kero through the mail toward the end of the 2015-16 season. 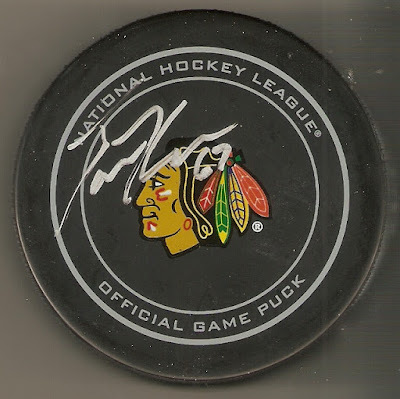 He was also nice enough to sign a puck for me, as well. Well, there you have it. A card that might not mean a whole lot to some people, but means a whole lot to me. 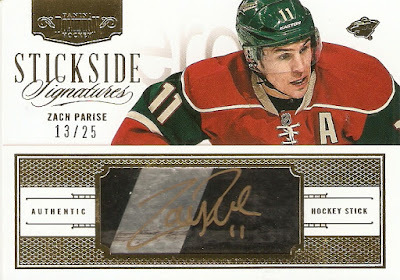 I just added another really cool card to my Zach Parise collection with this autographed stick card. It comes from 2013-14 Dominion's Stickside Signature insert set, and is numbered 13/25. 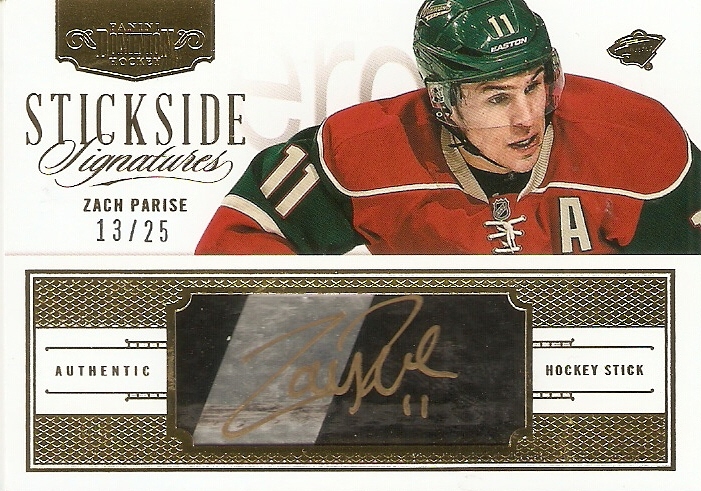 The autograph is in gold and is directly on a piece of Parise's game-used stick. The gold ink actually works best for the piece it is used for, as black, blue, or silver would blend in severely to the colors of the stick. 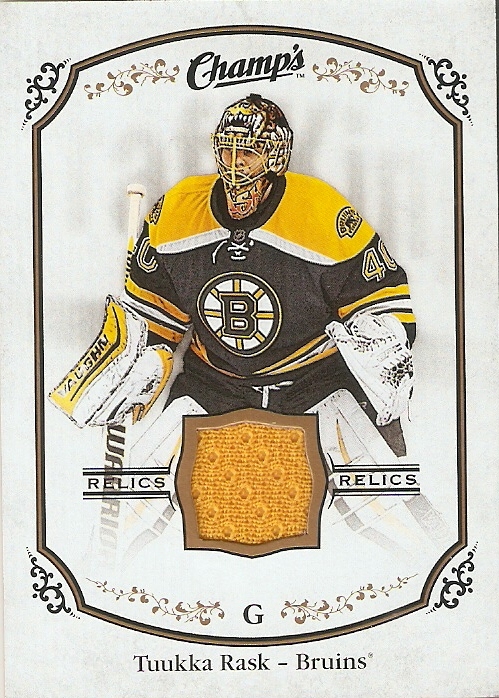 Not only is this a great-looking card, but stick pieces aren't as readily available as jersey or patch cards, which are all over the place. 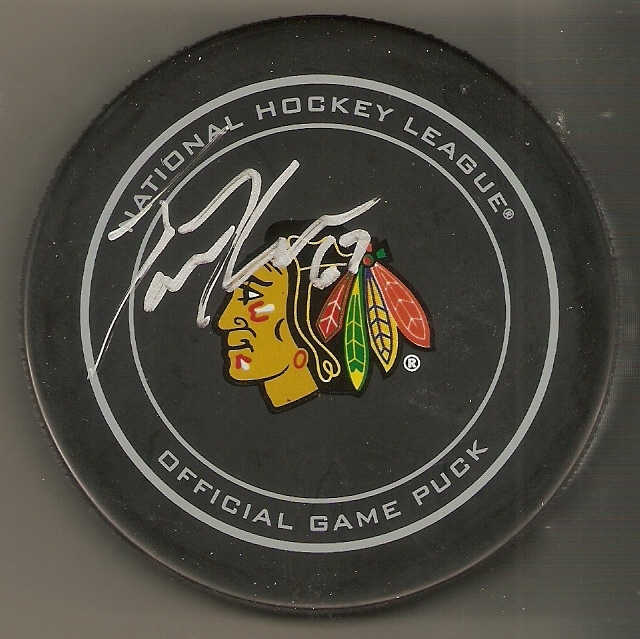 I also really like the novelty of having the autograph directly on the piece of memorabilia itself. It's been two years, and I still miss Panini. Upper Deck has stepped up its game and done their part to try and replicate some of the different things Panini did that now are no longer on the market, but I still miss a lot of what Panini did, including their high-end product, National Treasures which was only around for one season, right before Upper Deck was sold exclusive rights by the NHL & NHLPA. 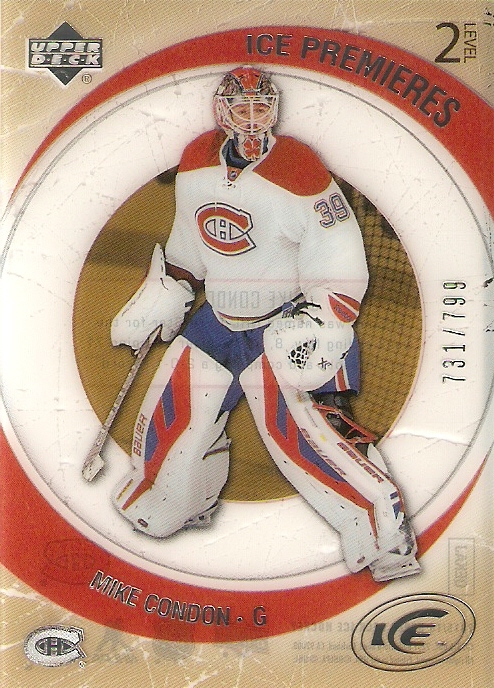 I still do like to pick up some cards from that set, and with Upper Deck having the exclusive rights now, the prices have relaxed. 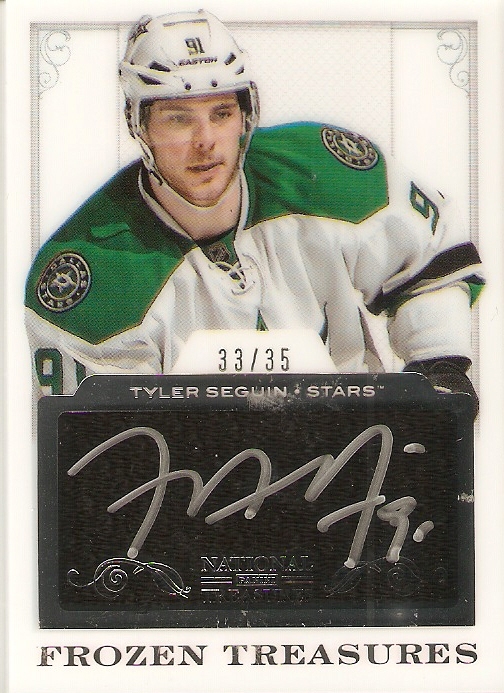 My most recent acquisition is this fantastic Tyler Seguin card. The card comes from the Frozen Treasures insert set, and is numbered 33/35. Like most high-end products, especially National Treasures, there is a heavy amount of white used for the background, which I like. 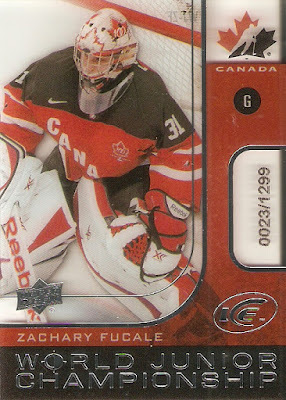 They also went easy on the foil, just using the silver foil for the window border and set name. The window itself is the really cool part of this card. 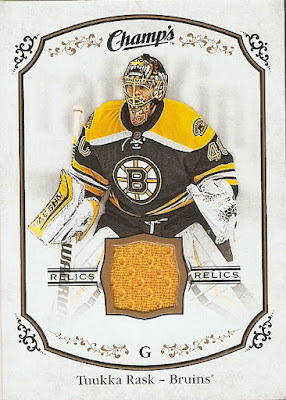 It is done like a normal memorabilia card, in this case, with a black jersey swatch. On top of that swatch is a clear acetate surface, which is signed in silver. It works really well, as it gives the impression of signed fabric, without having to worry about the ink bleeding into the material. This is the second Frozen Treasures card in my collection, the first being the Henrik Lundqvist prime jersey parallel that I pulled from the box I purchased when it was released. Looking at this card, I may have to really revisit National Treasures, and see what sorts of cardboard greatness are still out there. One of the newer additions to my Shane Doan Collection is this beauty, from 2008-09 Upper Deck The Cup. It is from the Limited Logos insert set, and is numbered 34/50. Like everything high-end, it has an on-card autographs next to an amazing patch piece. 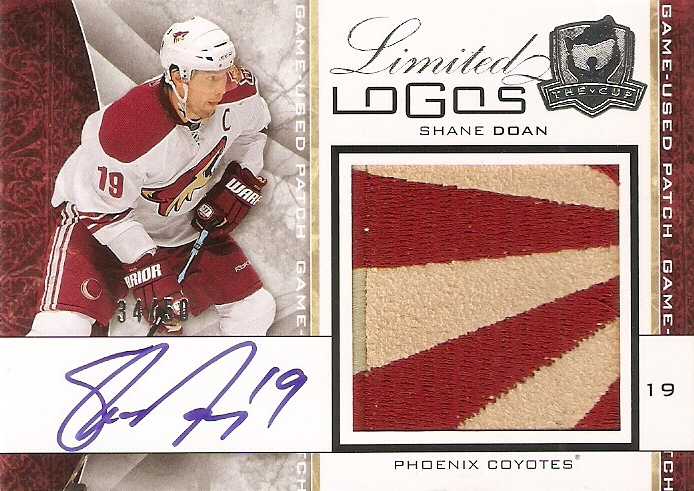 This particular patch comes from the "PHX" logo that they wore as a shoulder patch. They still have the same shoulder patch now, but changed the "PHX" to "AZ" when their name switched from the Phoenix Coyotes to the Arizona Coyotes. Either way, it's a great little accessory to an already great-looking jersey, and even better when you get a clean swatch of it embedded into your cardboard. This one is kind of a repurchase, but mostly just upgrading a patch. A couple years ago, I bought my very first box of Upper Deck The Cup with their 2012-13 release. In addition to an amazing Pavel Bure autographed dual patch card, my RPA was of Gabriel Dumont. 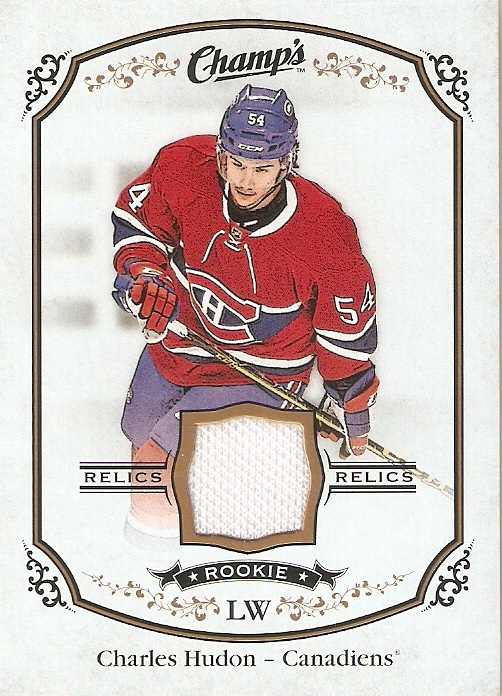 Now, I wasn't expecting a big name rookie, as the lockout would prevent most of the big-name rookies that year from making their card debut until 2013-14 products, but I was very disappointed to discover that despite the high price point, my card only had a solid one-colored patch. Now for anyone who knows me well enough based on what I have written in the past, I HATE solid patches. The whole point of a premium swatch like a patch it to be able to show different colors and some threading, so to just have the one-colored piece really defeats the purpose. 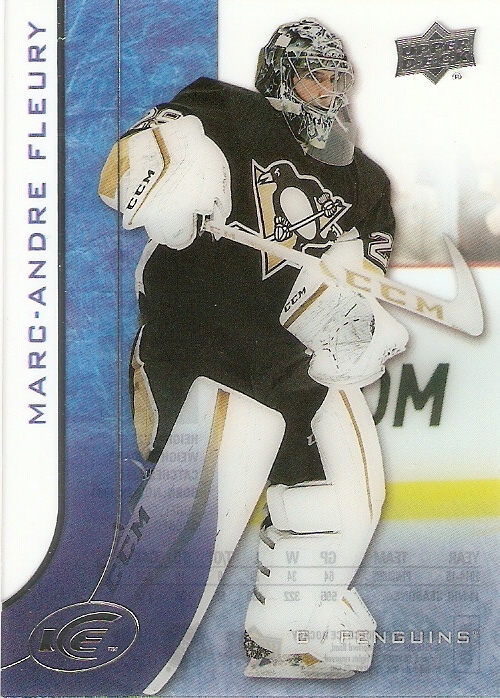 Anyway, I had no use for it, so I traded it away for some Penguins cards. The patch on this one is MUCH better than the one I pulled. Instead on most likely being from the middle of one of the numbers, this one comes from the nameplate on the back of the jersey. I don't really need a whole lot, just a couple colors and a seam or two, and I'm happy. Now, if only Dumont could pick up his game a little bit and get called up to the NHL, maybe this card could be even better. He is currently playing with the AHL's Syracuse Crunch, after signing a contract with the Tampa Bay Lightning this past off-season. Well, just one week after buying my first box of this year's Artifacts, I found myself at the West Acres Mall getting a few things for my daughters, so of course, I had to stop by my LCS, which is right there. 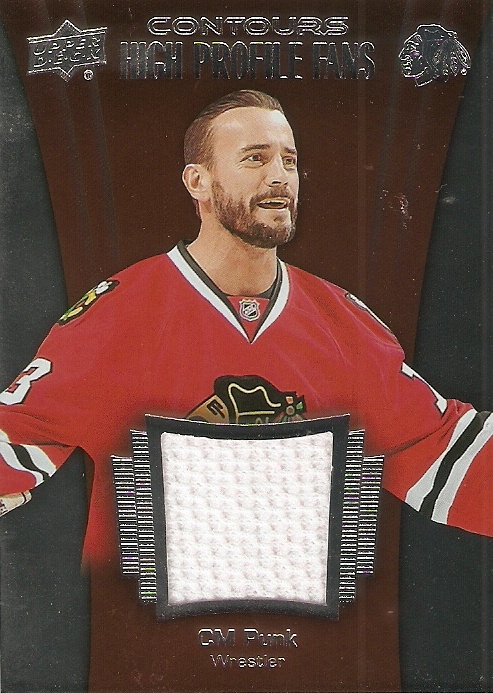 I really just wanted to get some toploaders and puck cases, which weren't in stock, at least in the sizes I needed. Not wanting to leave empty-handed, I decided to try my hand at another box of 2016-17 Artifacts. 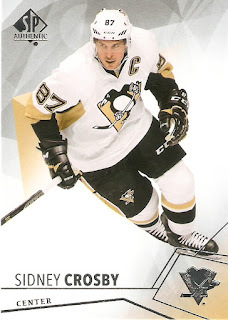 I did pretty well on my first one, getting an autographed Evgeni Malkin dual jersey card. I know my luck won't always be so favorable, but I figured I'd give it another shot anyway. 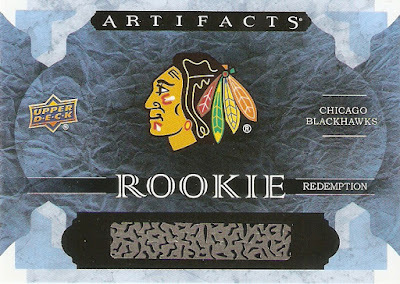 My Rookie Redemption is for the Chicago Blackhawks, which isn't a bad one to pull. It might be too early to tell, as there has been only one regular season game so far, but potential rookies could be Nick Schmaltz, Gustav Forsling, Tyler Motte, Michael Kempny, or maybe someone who hasn't debuted yet. As a UND Hockey fan, I'm hoping for Schmaltz, but we will have to see. 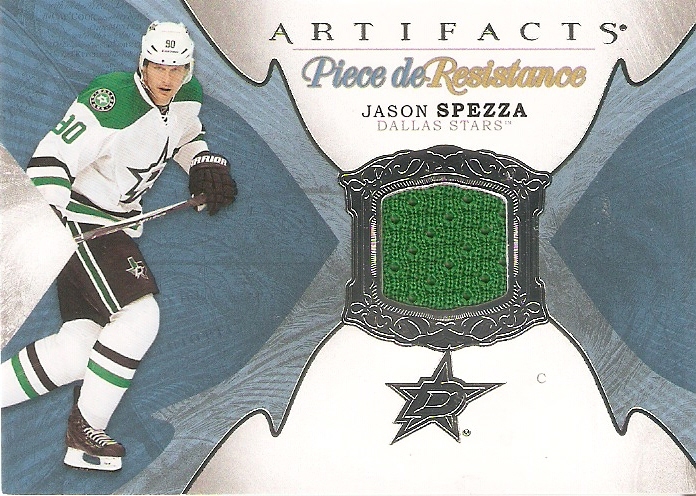 My first relic is a Piece de Resistance jersey card of Jason Spezza. The cards look really nice, and the design it simple, which I really like. It's always nice, too, when a player whop changed teams recently has fabric from his new team on the card. 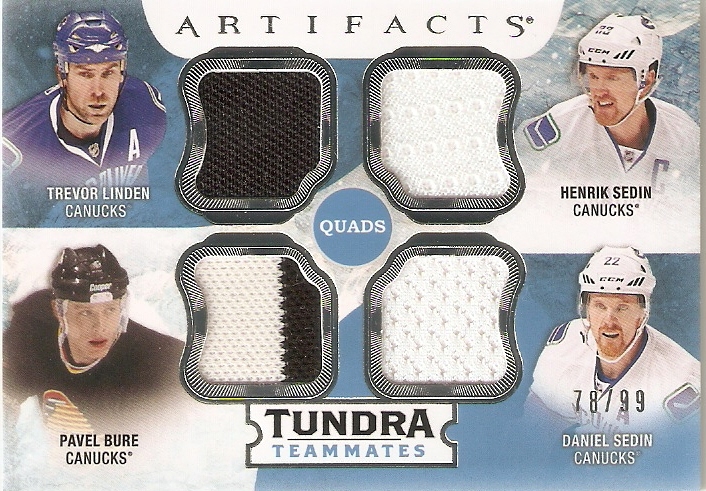 Next, is a Tundra Teammates Quads jersey card of current and former Vancouver Canucks players Trevor Linden, Pavel Bure, Henrik Sedin, and Daniel Sedin, numbered 78/99. It's nice to have a mix of current and old stars, especially when the swatches of the former Canucks contain swatches from those awesome black, red, and yellow jerseys. Lastly, is the big hit of the break, which is still a mystery. I pulled a Rookie Relic Redemption for rookie number 5. 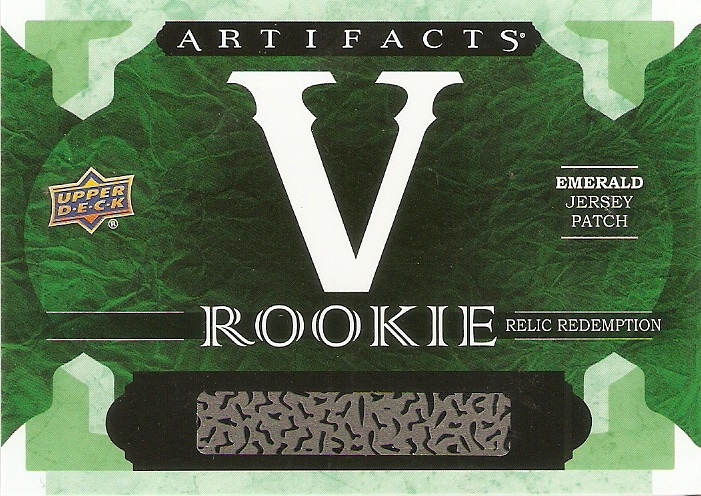 It is the emerald parallel, which I think contains the look of the regular rookie card, but with a jersey swatch and a patch swatch inserted. I'm not sure yet who this will be, although Ebay listings have predicted it as Matthew Tkaczuk, although I'm not sure how they came to that prediction. Anyway, there are five rookies who get this treatment this year, and even though it is number five, it can still be a great player. 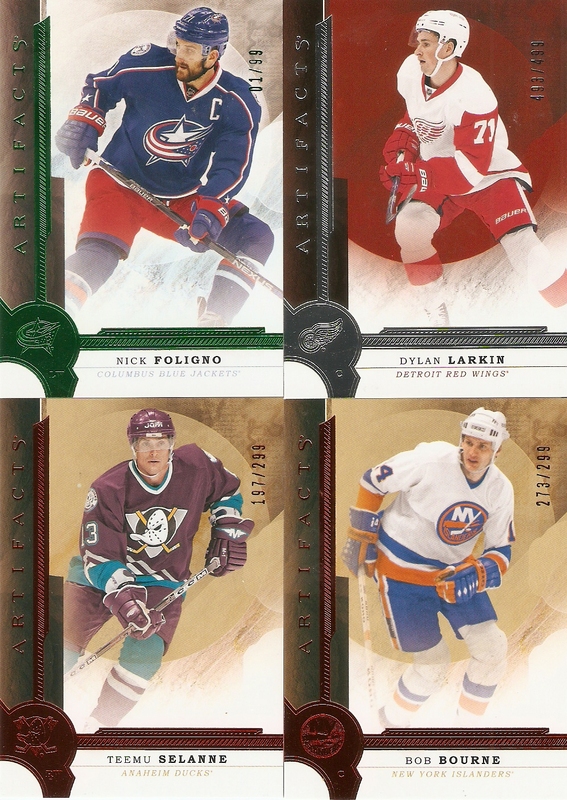 The most recent #5s include Artemi Panarin, Bo Horvat, Valeri Nichushkin, Cory Conacher,and Brett Connolly. Some have been busts, while last year's won the Calder Trophy, so we'll have to see how this one turns out. Not quite as good as the first one, but there's still an element of mystery here with the two redemptions. Only time will tell with that Rookie Relic Redemption. Well, I had always wondered what kind of a redemption replacement I would get for a valuable high-end card, and I got my wish. 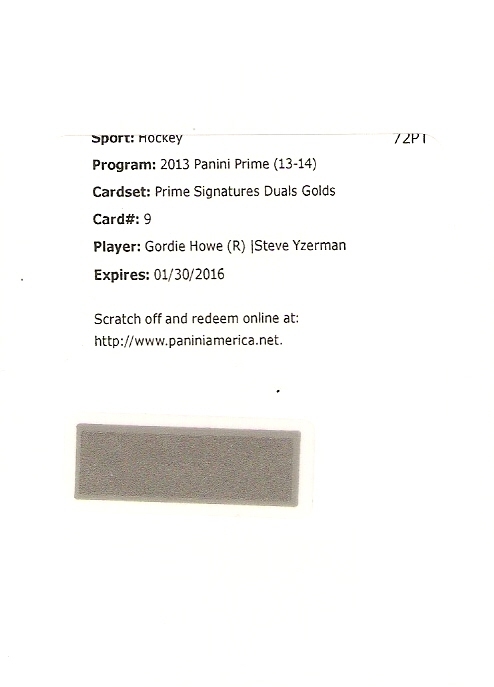 Last year, I pulled a redemption from 2013-14 Panini Prime for a card autographed by Gordie Howe and Steve Yzerman. 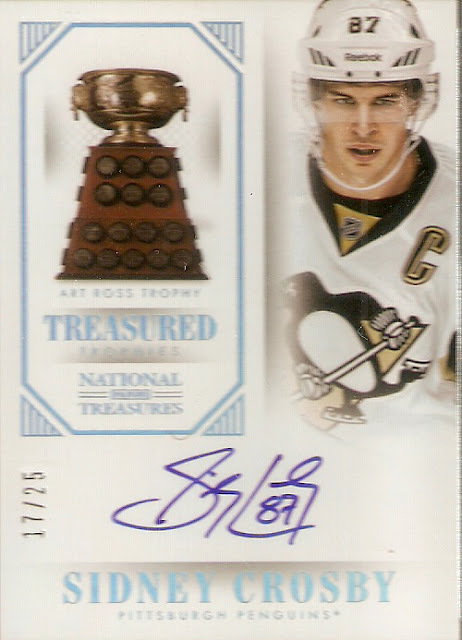 From 2013-14 National Treasures, a hard-signed Sidney Crosby card from the Treasured Trophies insert set. This particular insert set focuses on the awards that are presented to the players, and in the case of Crosby and the Art Ross, the test on the back goes into past Penguins who have won the award, from Mario Lemieux and Jaromir Jagr in the '90s, to Crosby and Evgeni Malkin in the present day. The card itself looks amazing. There is a lot of white surface, which I really like for a high-end card. 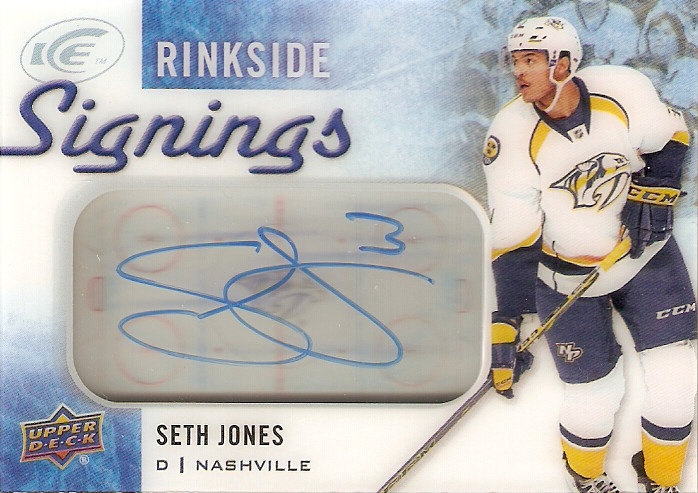 The blue of the autograph really stand out, which is good, because that should be the star of the card. The foil is done with what they refer to as "Holo-Foil," which basically changes color, depending on the angle of light. It came in a thick, magnetic, one-touch case, and I scanned it in that, because my scanner doesn't really do well with these wen they are placed directly on the surface. Maybe I'm biased, but I am happy with this return. Of course, I would have really liked to have gotten the original card pulled, but all things considered, I think it all worked out well in my favor. 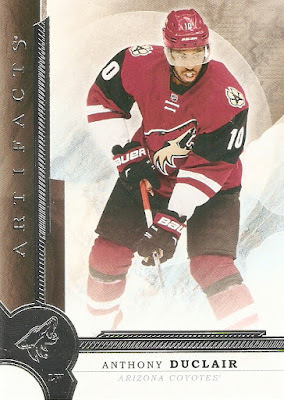 With a few low-end releases out of the way, Upper Deck Artifacts ushers in the mid-range card year with Artifacts, released earlier this week. 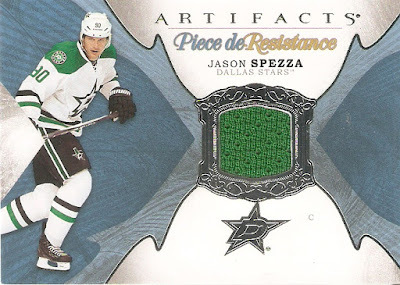 While products like MVP and O-Pee-Chee mostly just focus on base cards and inserts, Artifacts gives collectors the first chance each season of getting some really great hits. Each box of Artifacts contains 8 packs of four cards. There are a guaranteed three hits in each box, along with a rookie redemption cards and four serial-numbered card, so no matter what, each pack will at least give you something other than just base cards. New for this year is Aurum cards, which are considered a hit, are gold cards that fall at a rate of 8 per 20-box case. 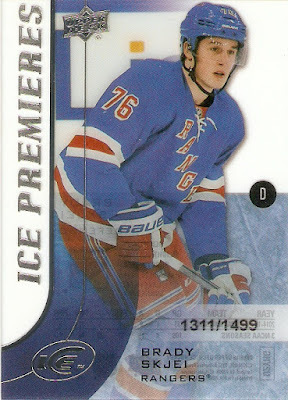 There are also Year One Rookie Sweater cards that contain pieces of actual game-worn sweaters, as opposed to just the "event worn" ones. As usual, the base cards look great. Even though this is by no means a high-end set, they do have that look to them. There's minimal space taken up on the left and bottom for the brand name, team logo, and player name, and they are done in a way that isn't too flashy, which I like. As a TTM/IP autograph collector, Artifacts always look amazing when signed, and I hope to prove this to be the case throughout the upcoming season. 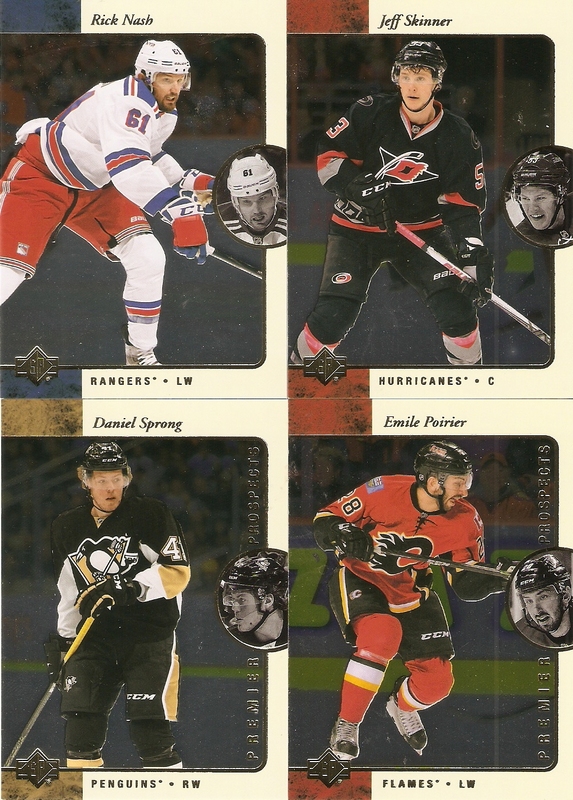 There were four serial-numbered SPs this year, and they didn't really do things that much differently thatn in years past. 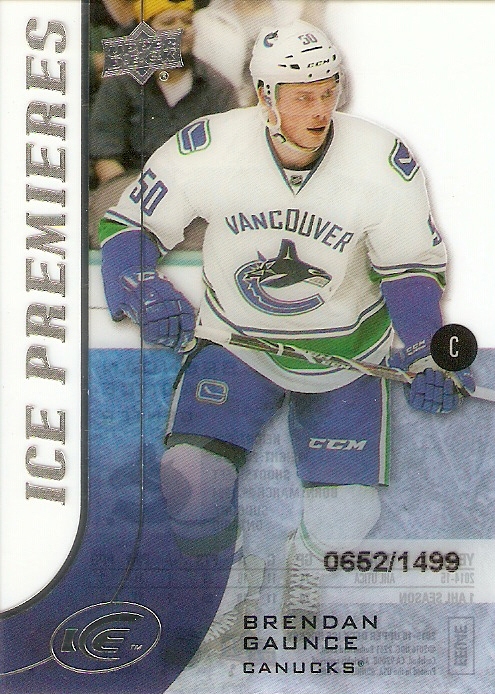 You won't find too many rookies of prominence in this product, as they are basically guys who played a few games toward the end of last season, and hadn't been issued any cards yet, as my Oliver Bjorkstrand (236/999) goes to prove. I also got high-number SPs of Glenn Anderson *345/499) and Joe Pavelski (255/499), as well as an emerald parallel of Mark Messier (39/99). My Rookie Redemption card is a "Wild Card," which is unassigned to a particular team. 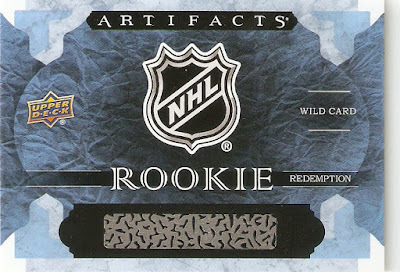 Since Artifacts is released before any players are able to make their NHL debut, they insert these redemption cards, which are fulfilled at a later date, after those rookies have played. Each team gets one, and there are 10 wild cards that are there for teams who have more than one rookie debuting who deserve a card. Of course, the big rookies will be the top ones on their team, but this one is numbered 211, which is the first of the Wild Cards in the set, so hopefully this one will at least give me the best out of the rest. 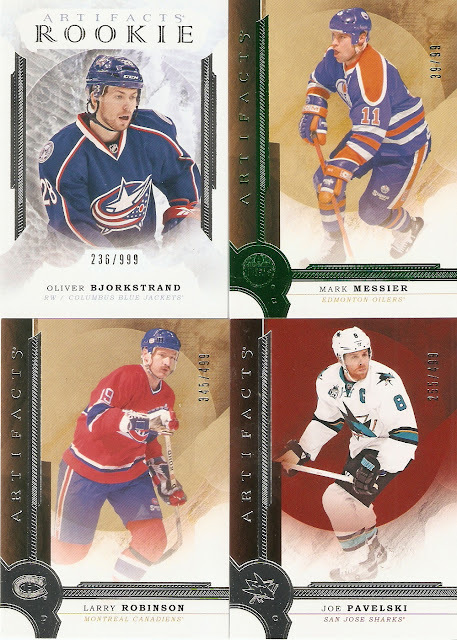 Frozen Artifacts is an insert set that returns every year to Artifacts. It features a single jersey swatch, and usually with a white, icy background. 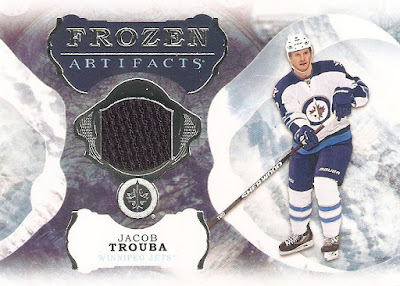 This Jacob Trouba card looks great, as the Winnipeg Jets colors match perfectly with the card design. 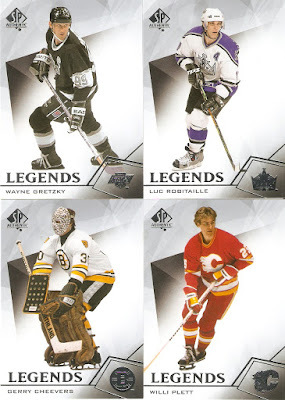 One of the other big insert sets they do every year, is really just their base set, but with something extra. 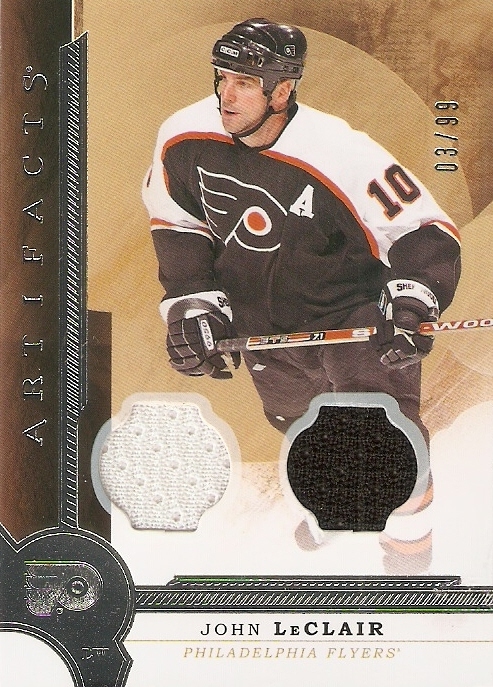 This John LeClair card is essentially just the base card with two jersey swatches added and a low (3/99) serial number. Lower parallels also will have variations to the fabric used, like patches, fight straps, or laundry tags. My big hit of the box was a very big hit for me. Not every box contains an autograph, but if it does, it may as well be of one of the biggest stars of your favorite team, right? 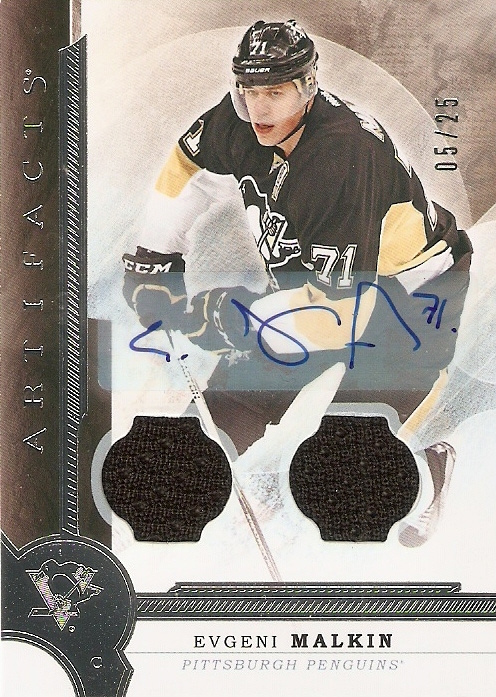 I absolutely love this Evgeni Malkin card, even though I have always been puzzled by what his signature is supposed to be. It is a sticker auto, as all of the Artifacts autographs are, but the fact that it contains that,a s well as two black jersey swatches and a low serial number (5/25) makes this quite an awesome pull. For me, Artifacts has always been a great go-to box when you aren't sure what to buy. The cards look great, and there's always a chance at pulling something amazing. 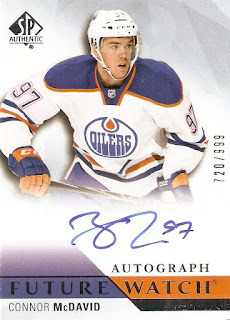 The same trip where I bought that amazing box of SP Authentic where I pulled a Connor McDavid Future Watch Autograph, I also picked up an almost-box of 2015-16 Champ's. I was hoping for a full box, but all they had left was the opened one of single packs. I'm guessing this was the result of a box running almost empty, and them busting another one open to fill the product, because there were 21 pack of what would otherwise be a 20-pack box. 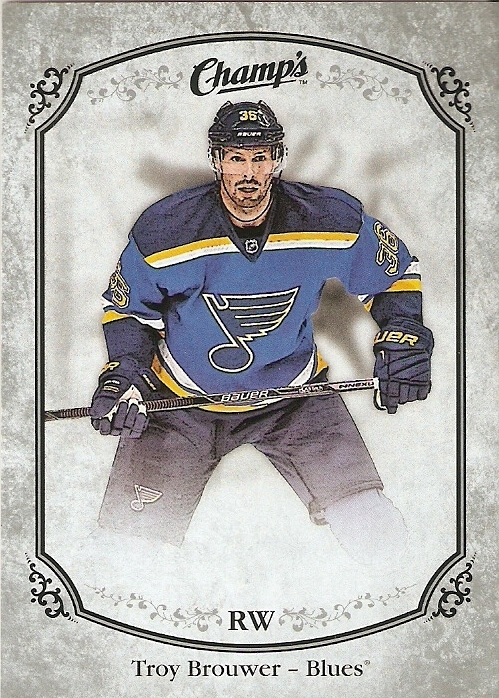 Anyway, I mostly wanted to get these for TTM.IP purposes, because as hockey's answer to Allen & Ginter, these will look amazing when they are signed. I did get a few hits, as well, and I'll just go through those, since the inserts wouldn't really reflect on what a typical box break would get you, and also, I don't really feel like it. Now, I almost got a full box of hits in my 21-packs. Each box is guaranteed to contain 2 relics and one autograph, which left me one autographs short. So, I decided to go to Ebay, spend about 5 bucks, and have this autographed card of Minnesota Wild left winger Jason Zucker to round out my Champ's purchase. As suspected, these cards look amazing signed, and hopefully I can get a few of these back in my TTM returns this season. 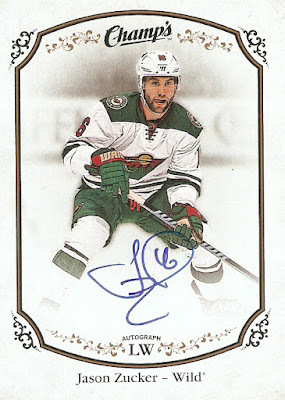 Next to The Cup, SP Authentic is one of the most sought after products released by Upper Deck every year. Upper Deck has done a great job of building the prestige of its rookie cards, from the Young Guns of the flagship product to the Rookie Patch Autos of the Cup, and with SP Authentic, we have the Future watch autos and auto patches. I've only opened one box of SP Authentic before and did really well, pulling a redemption for a Bo Horvat Future Watch Patch Auto, which I then traded for 3 out of 4 Sidney Crosby printing plates from 2011-12 Pinnacle. I was hoping this box would be just as good, so let's see what I got! 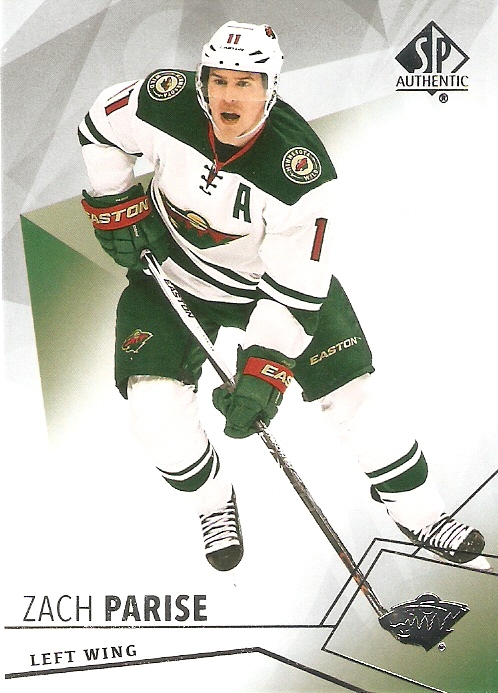 From the base cards, I got players from 2 out of 3 of my player collections with Sidney Crosby and Zach Parise (Shane Doan doesn't have a base card in this set, just a high-priced Franchise Icons SP). The base cards stay similar to past year's thematically, but like years past, they work out amazing for IP or TTM autos, which is always a plus for me. To close the base set out is the Future Watch rookie cards, which are always the big draw of this particular product. 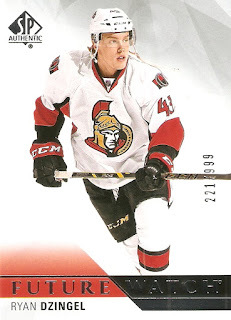 I only got one unsigned Future Watch card, of Ottawa Senators rookie Ryan Dzingel. 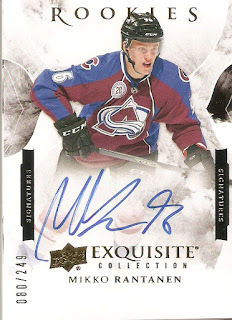 He played in 30 NHL games this year, scoring 3 goals and 6 assists, and considering the variety of rookie cards that make it in to products each year, you could do a lot worse. 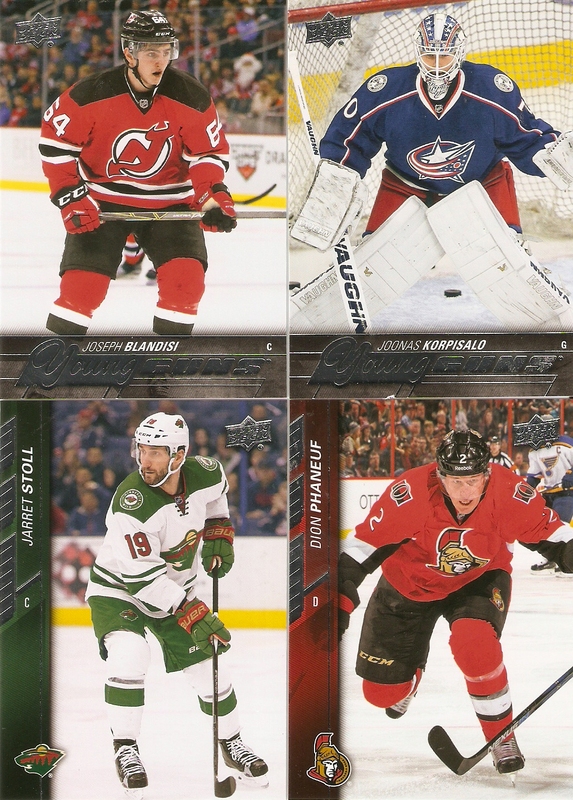 As far as inserts go, on of the ones I like is the Updates, with gives updated cards of the flagship product to players who changed teams throughout the season, and Young Guns rookies to players who made their NHL debut late in the season. 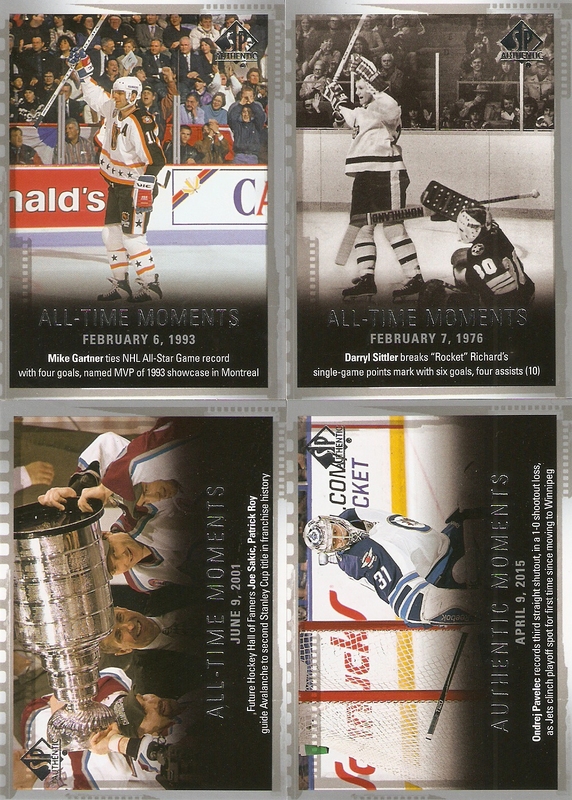 Lastly on the insert list is the 1995-96 Retro cards, which pay tribute to the SP cards from that particular year. Now to the hits. Each box of SP Authentic is guaranteed to contain three autographed cards, and all of them are hard-signed, which is a major plus for me. 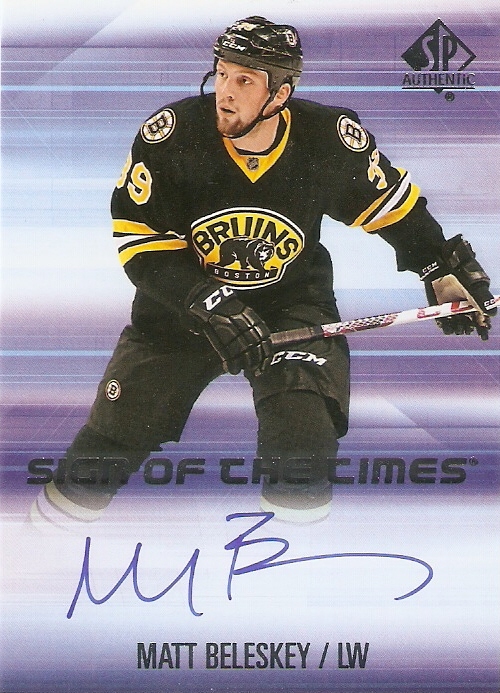 The first is from the long-running Sign of the Times insert set signed by Matt Beleskey of the Boston Bruins. As underwhelming as that one was, my final hit more than makes up for it, as I pulled one of the biggest cards from this product, with a Connor McDavid Future Watch Autographed card! 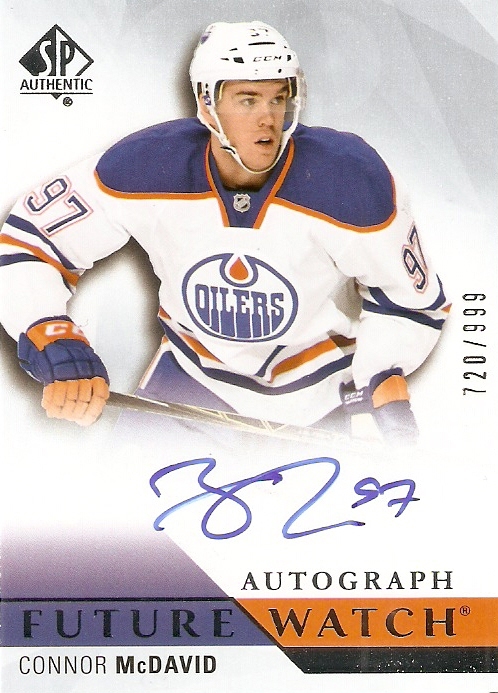 Of course, like many players of this era, McDavid has a scribble for a signature, but all things considered, it is still a great-looking card. 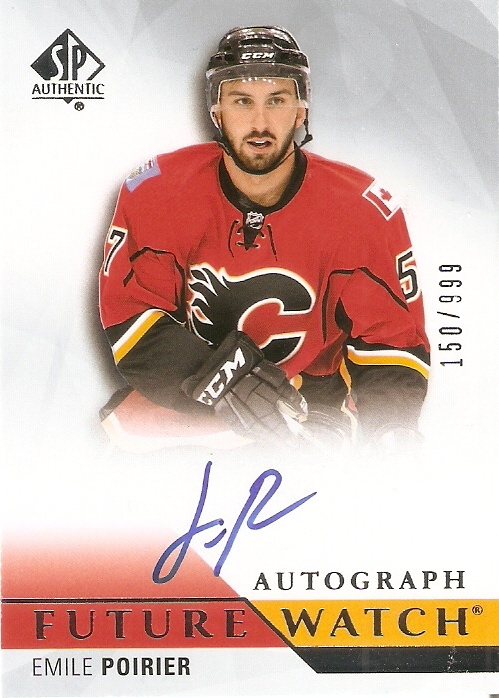 The design works really well, as it is able to showcase the player image, as well as the autograph, and all of the white surface on the card really makes the important elements stand out. 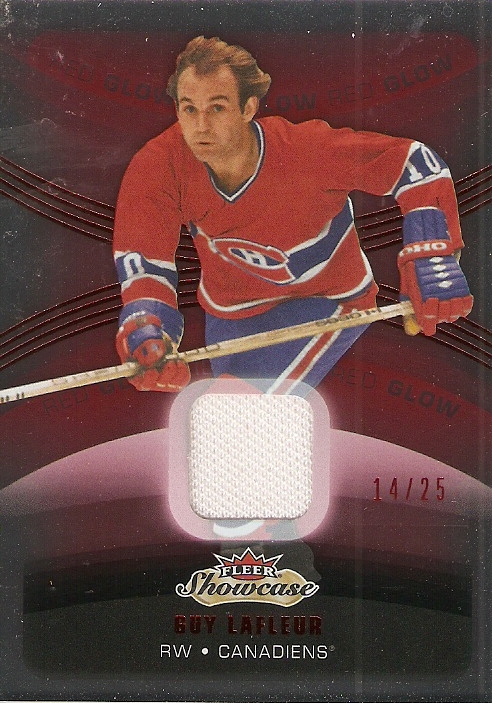 Of course, regardless of looks, the fact that I pulled one of the top 5 cards of a once-in-a-generation type of player, makes it all that much better. Of course, the fact that I pulled such an amazing card may sway my opinion, but I thought that the was a great product. The base cards look good, the inserts are cool, and there is a really good chance you could pull something major. Combine all of that with a decent price point, and this is really a great product to take a good chance at. Here's a running tab of the top 10 cards I have been lucky enough to pull from packs during the 2016 calendar year. I bought this box, like three months ago, did the scans and everything, but just never got around to posting it Anyway, I want to get this up, so I suppose I'll just power through it, with brief analysis, before I get my next boz of cards and get double behind. Ice is really cool, because it's an all-acetate set. It's tough to really convey that through scans, but just imagine all the white parts are clear. 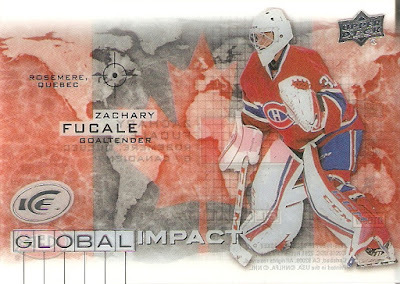 These cards have a simple concept, in that they focus on a players country of origin. With the country's flag superimposed (is that the right word?) over a world map, they are some very cool-looking cards. This guy again! Not much to explain here These cards focus on players who have represented Canada in the World Junior Championship. Now to the hits! 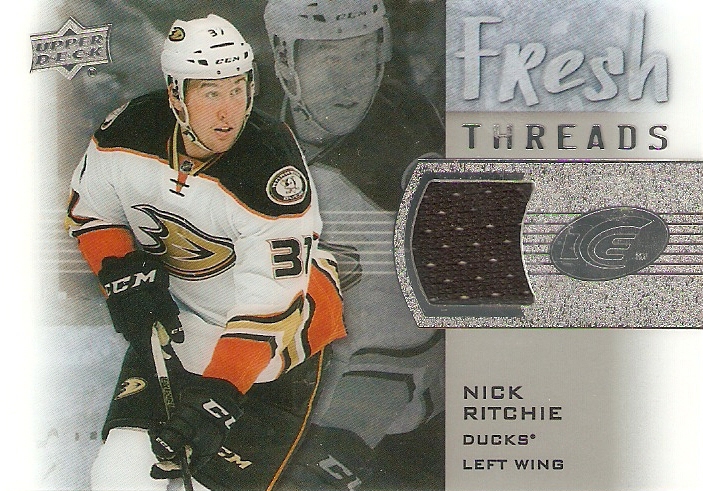 Unlike the base cards and inserts, the Fresh Threads cards are not done in an acetate material, which would be tougher to do with a thicker card. These are actually really nice-looking cards. Exquisite is kind of it's own seperate set, with cards eing inserted across various products. It's done with a thick card stock, and the clean white finish really gives it a high-end look. 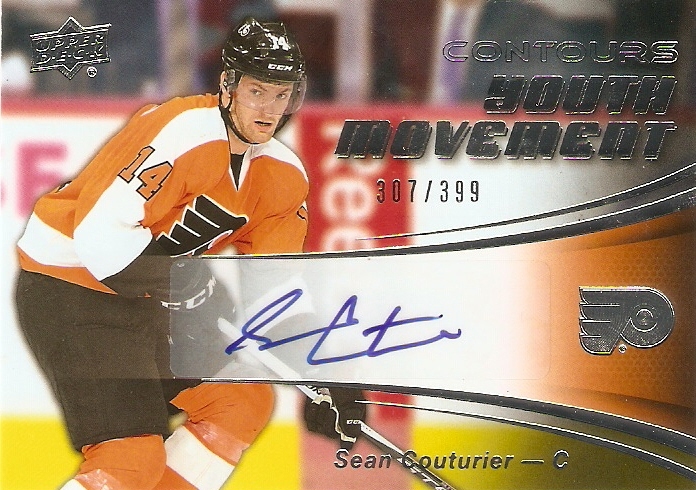 This is definitely the best card out of the box, not only because it's of a player I really like, but because it's just really cool. It's a thicker card, but the signature is done on an acetate surface shaped like an ice rink that is inserted into the card. I always love to find something like this that shows you something you can't really find anywhere else. That's it for the box. Ice is a popular product that made its return when Upper Deck added to their annual product line-up. It's also nice to see that they are trying to do something unique with what they put into it. There really are some amazing cards to be pulled from it.